Although both China and India have recently signed free trade agreements with ASEAN, many businesses still seem blissfully unaware of the free trade agreements and economic partnerships that are dramatically changing Asia’s business opportunities. These are agreements that do away with customs duties and tariffs on thousands of products. 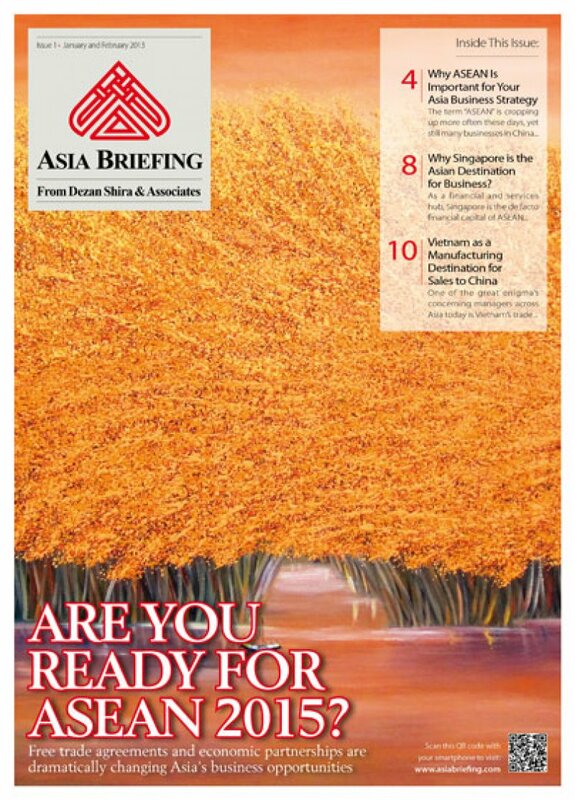 In this first issue of the bi-monthly Asia Briefing magazine, we focus on the new dawn that ASEAN free trade brings to the entire region, as well as the dramatic added impact of pan-Asian free trade agreements such as the Regional Comprehensive Economic Partnership. ASEAN – the Association of Southeast Asian Nations – comprises 10 Asian countries (Brunei, Cambodia, Indonesia, Laos, Malaysia, Myanmar, Philippines, Singapore, Thailand and Vietnam) as an economic trade bloc. That means reduced or zero customs duties across a space that includes the 10 ASEAN nations, and includes additional agreements, still under negotiation, that are expected to link in China, India, Australia, New Zealand, Japan and South Korea with the same ASEAN bloc. Collectively, ASEAN represents a market of some 600 million people, with a combined GDP of about US$1.8 trillion. If ASEAN were a country, in economic terms it would be the ninth largest in the world. The emergence of free trade across the region through the numerous ASEAN FTAs will have a profound effect on China, India and Asia, let alone the global players that do business in the region.